As you know, the data center landscape is highly competitive and constantly changing. 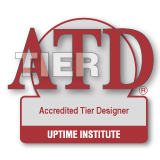 Investing in accredited tier training from Uptime Institute helps to increase the knowledge base of your team, improve operational efficiency in your organization and reduce business risk by adhering to best practices in data center design, management and operations. We invite you to register for our upcoming accredited tier training courses in Shanghai in November, 2017. Targets design professionals focused on Tier-based design & Tier topology best practices. 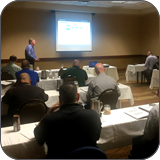 Targets facility operations and maintenance professionals focused on operations, staffing and maintenance best practices. 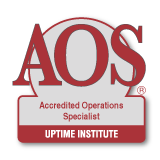 Targets individuals with existing Uptime Institute Accreditation focusing on topics of loads and capacities, specialized cooling technologies and multi-tier considerations. Course will provide advanced instruction on unique or complex mechanical design challenges and Tier solutions, including technical aspects of capacity component selection, load consideration, configuration and redundancy, controls, and power sources based on Tier objective. Instruction will cover typical cooling shortfalls submitted for Tier Certification, as well as an overview of Tier Certification expectations. Targets individuals with existing Uptime Institute Accreditation focusing on topics of portfolio operations strategy, portfolio governance and change and capacity management at the portfolio level. Course will provide instruction to critical facility operations and management professionals covering site- and portfolio-level governance and management concepts, and the application of those concepts in real-life situations. The course is designed for individuals who work within a traditional data center or other critical facility environment as well as managers and executives who are responsible for a "mixed" IT environment including one or more traditional enterprise data centers, colocation facilities, or cloud service contracts. Unable to attend our Shanghai session? Visit the Uptime Institute Course Calendar to learn about other courses coming up in your area.